US #773 was issued on the expo’s opening day. 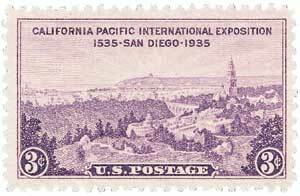 On May 29, 1936, the California Pacific Exposition opened in San Diego. Celebrating the 400th anniversary of Coronado’s discovery of the Pacific Southwest, it was also intended to help boost the economy during the Depression. 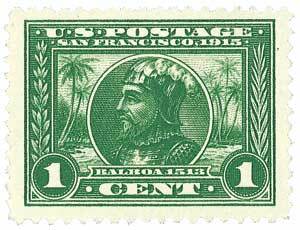 US #397 was issued to promote the 1915 Panama-Pacific Exposition. 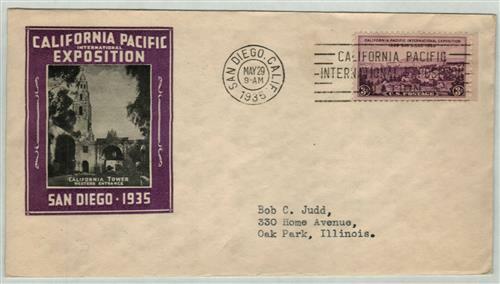 The idea for the California Pacific Exposition came from Frank Drugan, who had moved to San Diego in 1933. He was impressed at the condition of the buildings in Balboa Park, which had been built for the Panama-Pacific Exposition in 1915. Although they were designed to be temporary, they were refurbished and upgraded over the years and would make a great site for another world’s fair. 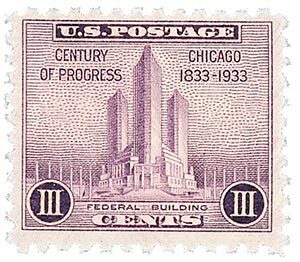 US #729 was issued for the 1933 Chicago Century of Progress Exposition. Additionally, Chicago’s Century of Progress Fair was ending soon and Drugan believed many of the exhibits could be brought to California for another fair. Drugan shared his idea and pushed the idea of using existing buildings as well as new ones, as a way to help boost San Diego’s economy during the Great Depression. With the support of local businesses, he got the project approved and incorporated in August 1934. 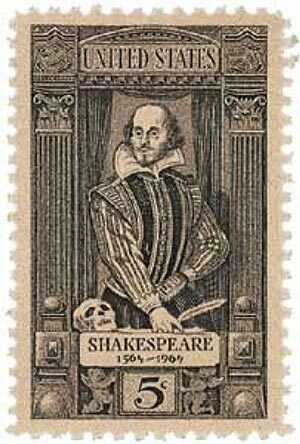 US #1250 was issued for Shakespeare’s 400th anniversary. By January 1935, the new buildings were under construction. The project was in such a rush to be complete by May, some of the foundations were laid before the final plans were even drawn up. In March and April, some 2,700 people worked around the clock to complete everything in time for the exposition. Among the new buildings was the Old Globe Theatre, based on London’s famed Globe Theatre. During the expo, the Globe hosted adaptations of William Shakespeare plays. The circular Ford Building was also new and considered an architectural wonder. Today, it’s home to the San Diego Air and Space Museum. US #773 – Classic First Day Cover. The exposition ran from May 29 to November 11, 1935. It was such a success that planners decided to add a second year, which ran from February 12 to September 9, 1936. During its total 377 days of operation, the fair hosted 7,220,000 visitors, bringing in about $37,700,000 worth of revenue to San Diego. 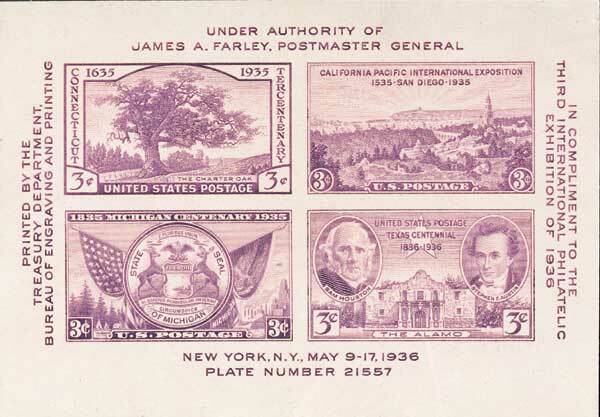 US #778 – The California Pacific Exposition stamp was reprinted as part of this TIPEX souvenir sheet in 1936. Some of the buildings were improved in the coming years, while others fell into disrepair. When some were destroyed to build more modern buildings in the 1960s, public outcry led to the remaining buildings being declared a National Historic Landmark. Many of the ornate buildings constructed specifically for the exposition still stand today in Balboa Park. The park, which lies in the heart of the city, houses various museums and cultural centers. You can read lots more history here and view the official program here. One Response to "This Day in History… May 29, 1936"
It’s always remarkable to learn how much was accomplished when so many had so little. I Googled Balboa Park and it reminds me of Fair Park in Dallas, which was built in 1936 to celebrate the Texas centennial as a republic, beginning in 1836. Many of its wonderful art deco buildings are still in use.